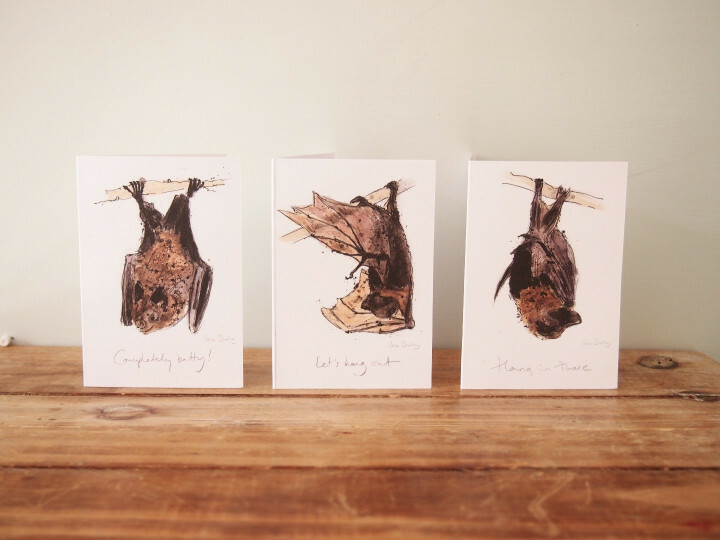 Zaza has produced a framed trio of bats and also three notecards to help raise funds for the Bat Conservation Trust. This is a UK charity which is the only organisation solely devoted to the conservation of bats and of the landscape upon which they rely. £7.50 of every sale of the framed bats and £1.50 from every sale of Zaza's notecards will go directly to the Bat Conservation Trust. If you'd like to find out in more detail what the charity does, please visit their website: http://www.bats.org.uk.